On Sunday the 26th we celebrate National Dog Day! 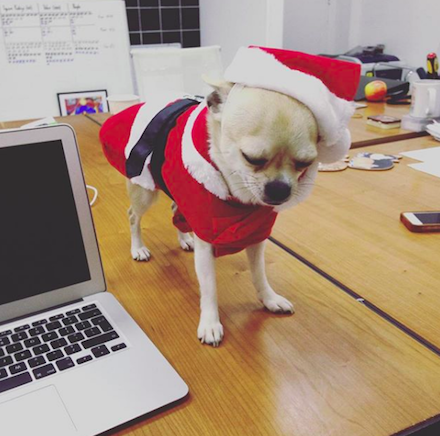 Here at Meanwhile Creative we are a big fan of furry friends, so much so, we allow well-behaved office dogs into our creative workspaces. 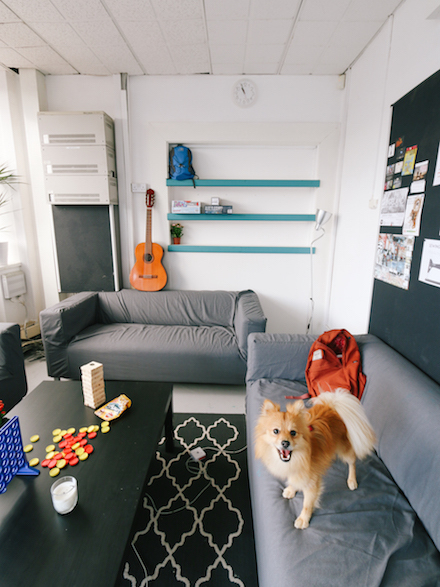 Did you know having pets in the workplace can create many benefits for you and other employees? By bringing your dog to work you can relieve stress, create social interactions and also improve job satisfaction. To celebrate national dog day we want to feature some of our office dogs on the blog… keep on reading for some serious cuteness! 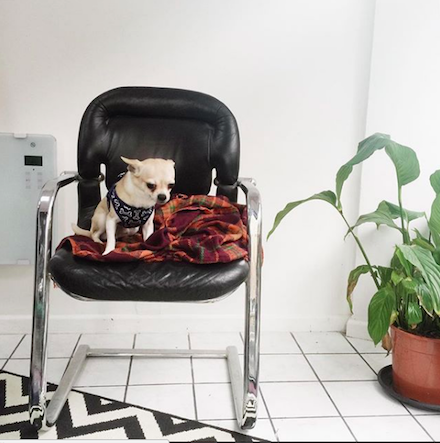 Phill is the original dog of Meanwhile Creative, the boss dog you may call him. 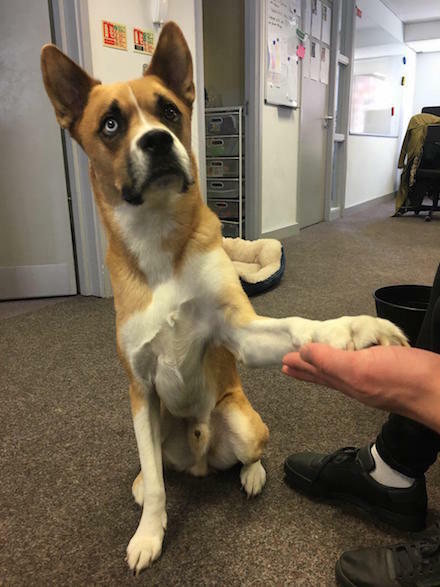 Phill spends most of his time chilling out at our King Street office, however he can be sometimes seen seen mooching around our other buildings, following around his owner Fred. One of Phill’s favourite hobbies is dressing up, as you can see from the photos above he is always prepped for whatever occasion. 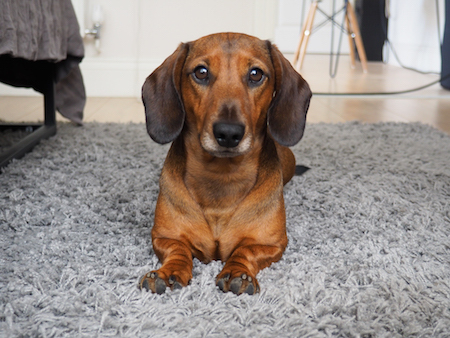 Oliver the Miniature Dachshund is very popular within the community at Meanwhile House Cardiff. 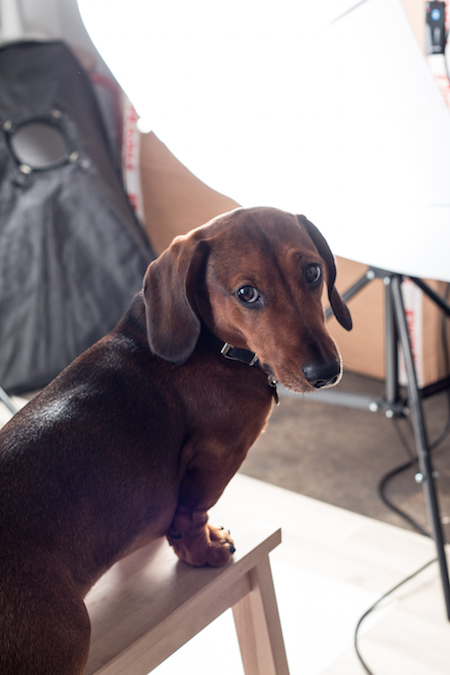 Oliver is always taking great photos with the help of his owner Diana Oliveira, a product and lifestyle photographer. When taking a break from modelling he loves to take a stroll down to Debbie’s kitchen aka My Mummy’s Cakes, Oliver is always looking for a sweet snack. This is Banjo, the loving pet of Debbie at My Mummy’s Cakes. 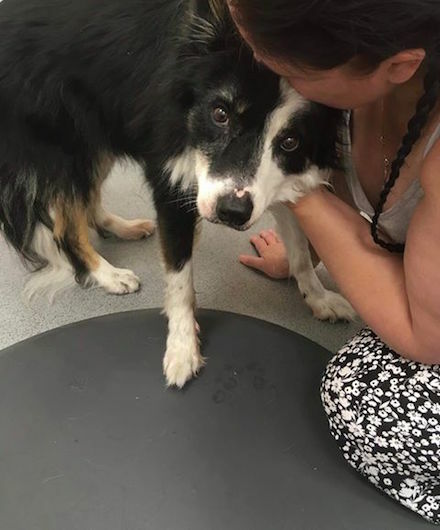 Unfortunately Banjo passed away a few weeks ago but he was definitely a character within the Cardiff community. Her birthday was on the 1st April however she was no fool, she will be missed hugely around Meanwhile House Cardiff. Chris was originally a boss dog at Meanwhile Creative hanging around a lot with his great friend Phill. He has followed the ventures of his owner Jack and has now been upgraded to King Dog at Jack Joseph Attire. 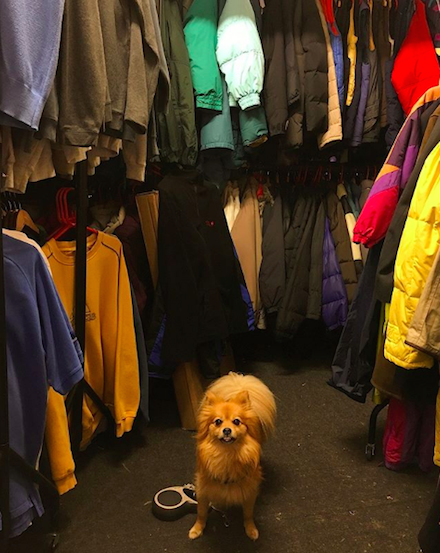 He now spends most of his time playing hide and seek through the rails of clothes at Deben House. 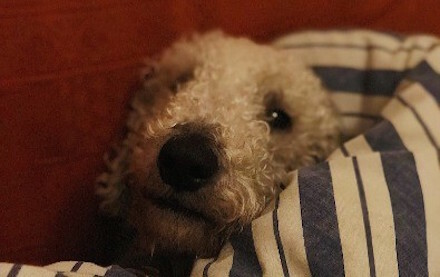 Benny Dench is the main boy and brains behind Acorn Collective, most of the team secretly believe he should be the boss… Benny is quite the upper class dog and in his free time enjoys fine dining, crime fiction and romantic walks in the park. He very much enjoys his life as an office dog at King Street but when he leaves, it’s straight back to squirrel chasing! Meet Mac! 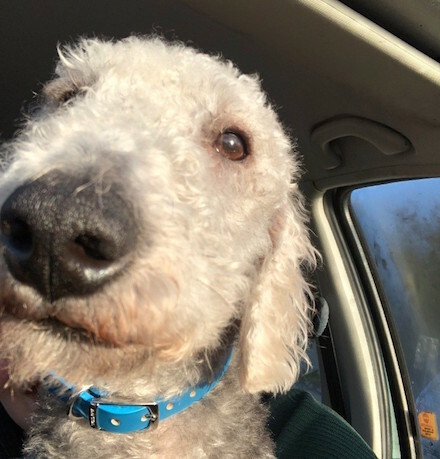 Mac is a 16 month old Bedlington Terrier and is the original dog at Wriggle. Mac helps Wriggle pick out the best dining spots around Bristol and Cardiff but his preferred hobby is eating non-edible products. We have been told his tally so far includes 8 shoes, 5 bags, and 3 of his own dog harnesses! This is Mac’s good friend Lilly. 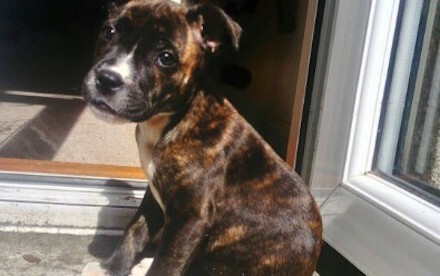 Lilly is a bouncy bundle of joy who loves to chase Mac around the office. She has only been with Wriggle for a few months but it is safe to say she has made a firm friend. Lilly loves life on King Street and when she is old enough I am sure she will be joining Mac for a beer with his pals at Renato’s. Here at Meanwhile we love having these dogs within our community. 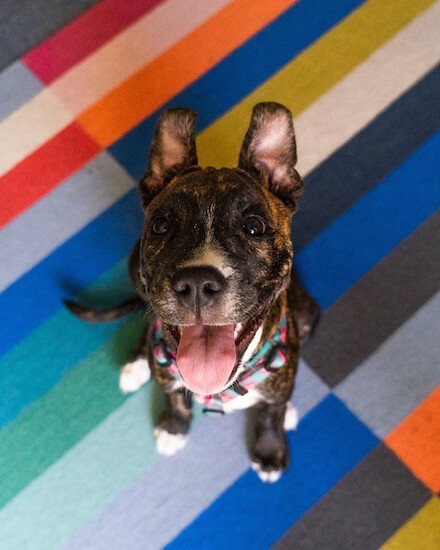 Not only does bringing your dog to work create benefits for you, it also benefits them. 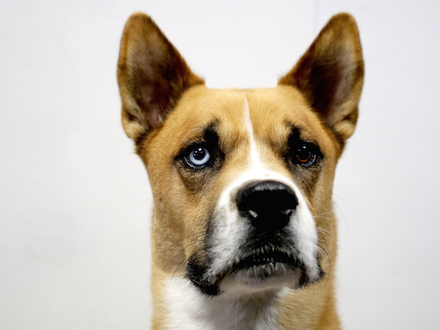 Be sure to give your dog lots of love this national dog day and tag us in any photos of your office dogs!